See more information on our Volunteering page, and contact us if you would like to help. The Magog Trust grasped a unique and unrepeatable opportunity to open up 163.5 acres of arable land adjacent to Wandlebury for public recreation and for conservation. Go back in your mind for a century or less; this land would have been grass land for grazing sheep; there would have been a rich wildlife, a lovely spread of wild flowers and butterflies, thick hedges where birds and insects could flourish and a scattering of trees - beech, hazel and hawthorn for instance. Today, with debts paid and the chalk grassland being recreated, native shrubs and trees planted and showing over a decade's growth, the wild life is being attracted back and returning part of our disappearing countryside heritage. There are, unusually for Cambridgeshire, high points on the site with extensive views over the surrounding counties and towards the City. 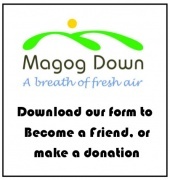 While the Magog Trust continues to work hard the real power comes from the people who visit the site; people who become Friends of Magog Down; people who will help with administration; people who will join our working groups. Those people, and their children and grandchildren, who will visit this lovely place today and in the future. The project started in 1989 when the land came on the market; Christopher South, journalist and broadcaster, commented on it in the Cambridge Evening News; Colin Davison, Vicar of Stapleford (until his sudden death in June 1989) recognised its potential and together with the then Chairman of the Stapleford Parish Council (Joan Barnes) they formed the Magog Trust. The price of the land was £327,100. The Trust purchased the land in September 1989 and initiated a programme of reclamation and development for long term conservation and recreation. The loans have been repaid. Who is doing this for Cambridge and for posterity? It has to be the community. All of us who are concerned about maintaining the richness and diversity of the countryside, who know that people need space to walk and wonder and watch; who accept that responsibility for doing this belongs to us, the people who will use it; who can say to the few people who have started this "Keep going - we will help to make this possible". What encouraged the Governors of the Magog Trust to go ahead? The first goals of woodland (6 woods; over 26,000 trees and shrubs) and meadows (2 meadows; 72 acres seeded with typical native grasses and flowers) were reached during 1993. Donations to support trees in the Memorial Wood were given in memory of loved ones. A car park (completed March 1992) provides safe access for walkers and other visitors. Access gates and picnic tables are in place. On the North and South Downs seats were donated in memory of family and friends have been installed. This start is impressive. If Cambridgeshire people want to say "That hillside is ours and always will be", individuals, organisations, institutions and businesses still have a crucial part to play. Cash to pay off the land purchase debt was its top priority. Now, with annual expenditure in the region of £50-60,000, continued support is required so that the work goes on. 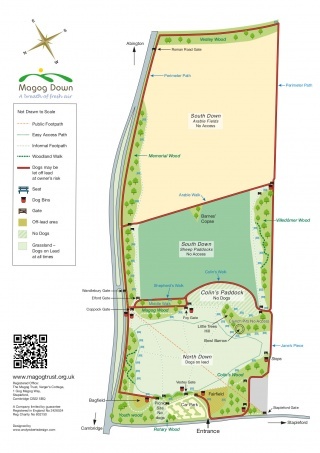 We would love each visitor to the Magog Down to help us to look after this special piece of countryside by becoming a Friend of Magog Down. Your contribution will enable us to keep this spot beautiful, today and in years to come. Read more on the Join us page, or simply complete the application form. 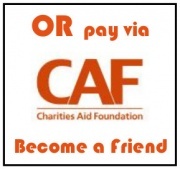 Or, you may prefer to set up a Direct Debit which you can now do via CAF Online. Are you interested in securing the future of this fragile landscape? Consider becoming a Trustee! We are always looking for able local people interested in what we are trying to achieve with the restoration of intensively farmed arable land to traditional chalk grassland. The Board of Trustees needs to have people with a wide range of knowledge and skills to inform our discussions and decisions. Collectively we need working knowledge of current environmental issues, finance, land management and relevant legal requirements. Trustees do not have to be experts in any of these subjects as we can and do seek professional advice from experts. We need people able to give time to helping the Trust and its small army of volunteers without whom we would be able to achieve very little.